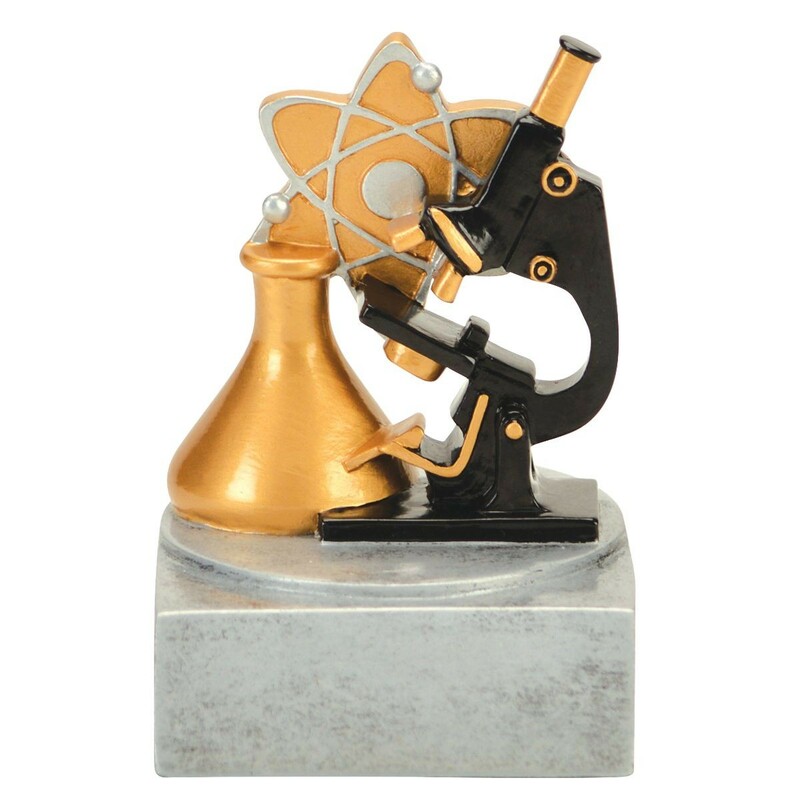 Our Engraved Mad Scientist Trophy is a great way to recognize success in science, research, or technology! This 4" resin science trophy features a beaker, microscope and atomic symbol. Custom engraving is etched on a black brass plate in gold and attached to the base for free! A "mad scientist" of any age deserves this playful award of scientific discovery!